No. 7 Tennessee survives a crucial test before conference play begins in their win over No. 18 Stanford. No. 7 Tennessee defeated the No. 18 Stanford 83-71 on Thursday night. With the win, the Lady Vols break a five-game losing streak in Maples Pavilion. Tennessee is now 12-0 for the first time since 2005-2006, which is the same season when the Lady Vols last won in Palo Alto. With the loss, the Cardinals fall to 6-6 on the season. Senior guard Brittany McPhee finished with 27 points and was the only Stanford player to finish with double-digit points on the night. Stanford is now 0-5 against ranked opponents this season. For Tennessee, Nared led the team in scoring with 28 points. Fellow senior Mercedes Russell earned her 36th career double-double, finishing the game with 11 points and 10 rebounds. The game started out slowly as both teams traded missed shots to open the first quarter. Stanford held an early lead, but a three-pointer by freshman Rennia Davis followed by a breakaway lay-up from fellow freshman point guard Evina Westbrook allowed Tennessee to take a 6-4 lead. Westbrook would go on to finish the game with a career-high 17 points, breaking her previous record of 15 points in Tennessee’s win over Texas. Since the early lead change in the opening quarter, the Lady Vols never allowed the Cardinals to take the lead in the game. They led by as much as 17 points in the fourth quarter. Stanford would make a late surge and go on to cut Tennessee’s lead to only six points at 68-62 with 3:12 left in the game. 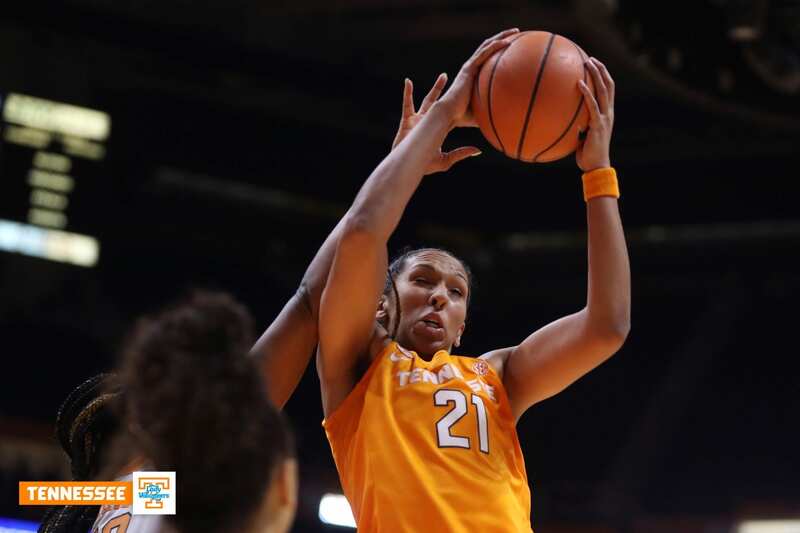 The Lady Vols had plenty of scoring opportunities to put the game away, but they were outrebounded 48-35 and allowed Stanford to keep the closing minutes interesting. Late, clutch free throw shooting from Tennessee allowed them to comfortably finish out the game and pull away with the 83-71 win. The visitors finished the game shooting 86% from the free throw line. The Lady Vols will remain on the road as they head to Lexington on Dec. 31 to face Kentucky in their first SEC matchup of the season. The game will tip at 12 p.m. ET on the SEC Network.